"When I think of Jayananda's greatness, I feel great awe in soul and mind and body. 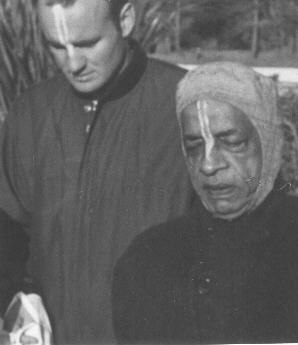 He pretended to be a regular joe devotee, but his devotional service was extremely rare, his surrender and enthusiasm for serving Srila Prabhupada was exceptionally uncommon. "Even if nothing good ever happens the rest of this life, even so, those years, those days, those moments with Jayananda and the devotees in San Francisco and Berkeley will be enough for me, to sustain and certify this often pitiful life of Vishoka dasa to have been a life worth while and meaningful, despite the often found reluctance to become fully Krsna consciousness, Hare Krishna."